In 2009 the slates on the Southern roof slopes were renewed, along with new guttering, work in the tower etc, thanks to a grant from English Heritage plus grants from various other funding organisations and our own fund raising. Since that time, the roof on the northern side of the church has deteriorated and become a serious cause for concern, which has made it difficult to plan interior refurbishment work. Once more the Lord has provided for us! 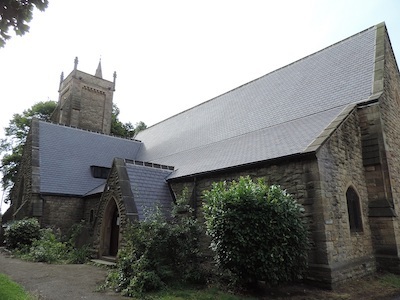 On 28th June 2016 we received the news that we had been successful with our application to the Listed Places of Worship (LPOW) Roof Repair Fund for a grant towards the cost of renewing the slate coverings on the North slopes of the nave and chancel, the north aisle, north transept and north porch roofs. The total estimated cost of our project is £116,512 (excluding VAT, most of which we can re-claim) and the much appreciated £100,000 LPOW Grant, together with past and current additional fundraising, will enable us to have a secure roof at St Paul’s for many years to come. We have had a Roof Fund for the last few years but still have a shortfall of £11,500. To meet this, we are applying to another funding organisation for a small grant and holding various events, including a “Sponsor-a-Slate” Day (3rd September) and a Puppet Show by professional Puppeteer (15th October). More details of these and all our planned events can be found on our “What’s On” page. Members of our wonderful Church family are also helping to boost funds themselves by various means eg selling garden produce, donations by families at baptisms etc. All finance has to be secure by 28th December and work is hopefully due to start next April, taking approximately 3 months. We will update the website with more information in due course. We are on schedule with all our preparation, and working in conjunction with our Architects (Smith & Roper of Bakewell), we have obtained all the necessary permissions and following the Tendering process, have now chosen our preferred. Contractor. We have nearly completed our Fund Raising to cover the shortfall and are now in the process of collating all the information required by the Listed Places of Worship Roof Repair Fund to accompany their “Permission to Start” form. Work on the roof is expected to commence next April, and the website will continue to be updated. Our "Permission to Start" application was accepted by the Listed Places of Worship Fund in December, with the first tranche of their grant being released. 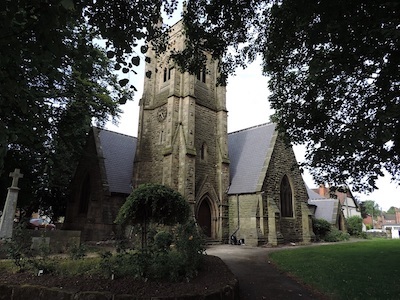 We continue to work in conjunction with our Architects (Smith & Roper of Bakewell) and at a special Meeting in January, the contract was signed by Canon Rev Michael Mitton, on behalf of St Paul's PCC , with our approved Contractor, Martin-Brooks (Roofing Specialists) Ltd of Sheffield. Work is scheduled to start on 24th April, completion 28th July. Services will be held in the Hall during that period. We will keep you informed of progress!.